Over the years WLS Surveys went through many looks! 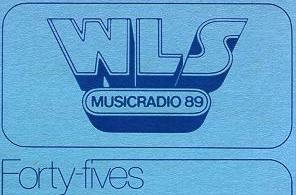 From the Silver Dollar Survey ... thru the Hit Parade ... to the Music Radio Survey ... until it was replaced by WLS-FM and Z-95 ... the WLS Survey reflected Chicago's musical tastes. The biggest hits and albums were featured. 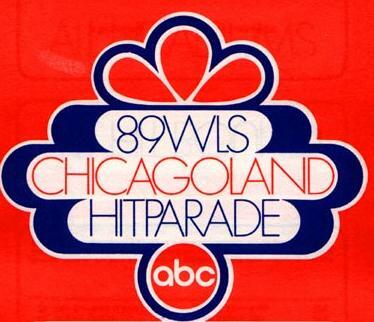 The WLS Jocks were pictured as well as advertisements for many of the Chicagoland's biggest products, as well as concert info, song lyrics, and pictures of the hottest artists to appear at WLS or in Chicago. Bill Danning (the Oldies Loon) and his Survey Guys have begun posting weekly WLS Silver Dollar Surveys, Hit Parades, and Musicradio Surveys ! Thanks to their efforts you can now look at many of the weekly lists as they appeared in record stores all over Chicagoland ! 1960-1981 are on-line ! Thanks Bill for allowing me to link to your tremedous efforts ! A great series of books detailing the history of the WLS Silver Dollar Surveys has been published by Ron Smith. I received this note from Ron... "Thought you might be interested in the book I just had published. It does for the WLS Silver Dollar Surveys of the 60s what Joel Whitburn's books do for the Billboard Hot 100-- it lists every song to reach the chart alphabetically by title and by artist, along with debut and peak dates, peak position reached and weeks on the survey." There are now 3 books, covering the history of the WLS Surveys. These are a must have for WLS fans. Book 2 covers the 70's and Book 3 takes you through the 80's. Click above to find out more !